Cats Eye Granite can be processed into Honed, Aged, Polished, Sawn Cut, Sanded, Rock faced, Sandblasted, Bush hammered, and Tumbled and so on. 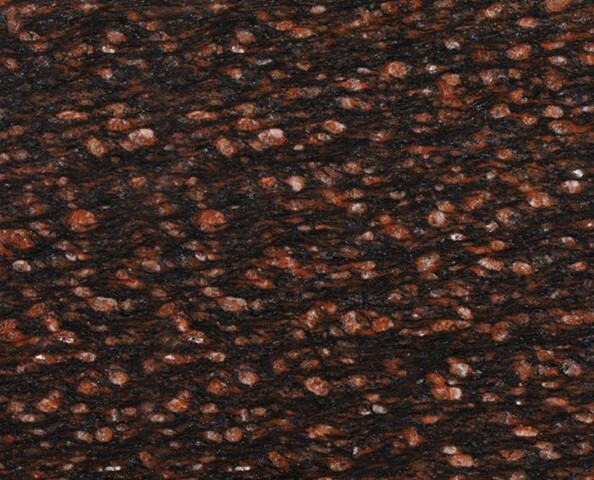 Cats Eye Granite is reddish brown Granite having dark brown base with large dark red grains intrusive igneous rock which is granular and phaneritic in texture. Kushalbagh Marbles is the leading manufacturer, supplier and exporter Cats Eye Granite. We are exporting Cats Eye Granite to over 20 countries all over the world. We supply Slabs, Tiles and other cut sizes of Cats Eye Granite. To fill out the enquiry form, please click here to get the best quotation for Cats Eye Granite.